Season two of A Series of Unfortunate Events is now filming. And while not much has been officially confirmed, readers of the original novels already have a good idea of what to expect from the upcoming season, which will adapt books 5-9. Many of you, however, have not read the original series. And while you may be curious about what’s going to happen next season, you might not have time to read the books and probably have been avoiding googling any questions about them due to spoilers. For those of you who want a taste – but only a small taste – of what’s to come, The Fangirl Initiative is here for you. As a longtime fan of the original book series, I’m here to satisfy your curiosity, while not giving away too much. Keep in mind, the following "sneak peeks" assume the show will continue to be as faithful to the books as the first season was. If the showrunners decide to take the story in a different direction, some of this may be subject to change. Strong spoiler warning for season one and books 1-4. And, since the purpose of this article is to give readers a glimpse into the show’s second season without giving too much away, mild spoiler warning for season two and books 5-9. #1. 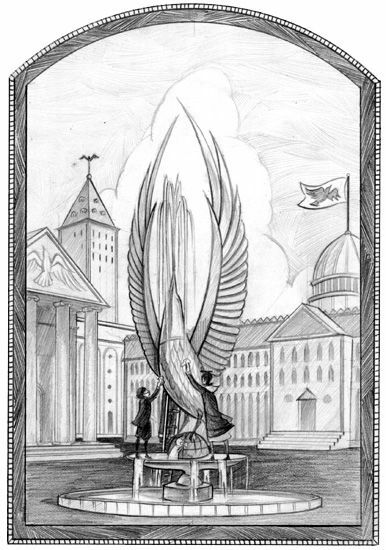 The Baudelaires Will Attend School under the Authority of Nero. Vice Principal Nero is a rather infamous figure in the ASOUE books. Not only is he a fan favorite, he is one of the most eccentric and absurd characters in the entire series. His coming was foreshadowed heavily throughout the first season – not one, but two allusions were made to people suddenly being able to play the violin when they heard the word “Nero,” and his silhouette was shown at the very end of the season finale. I personally can’t wait to see him in action. Along with my excitement, however, I am also nervous. This is one of two season two casting choices that are especially important for Netflix to get right. #2. The Baudelaires Will Gain a New Enemy. #3. The Baudelaires Will Gain New Friends. Although there’ll be plenty of misfortune to go around next season, the Baudelaires will have more than just each other to help them stay strong. In season one, we got a brief glimpse of the mysterious couple’s three children and saw two of them at the academy where the Baudelaires were sent. Next season, we’ll finally get to know them. #4. The Series Will Gain a New Villain. Season one saw Olaf order around a troupe of henchpeople and even temporarily team up with an old flame. But in season two, we’ll meet a villain more on Olaf’s own level, who will stay for more than just a couple episodes – she'll stay for the rest of the series, in fact! We got a quick glimpse of her in the season finale, setting the Quagmire house on fire from the comfort of an automobile parked outside. I will not reveal her name (that’s a bit too spoilery for this article), but I will say that not only is she my favorite character in the series, she is also a very important character plot-wise. This is definitely the casting choice that Netflix will need to take the most seriously this season. #5. Count Olaf Will Improve His Disguise Game. In season one, we watched Count Olaf disguise himself as Stephano, Captain Sham, and Shirley, fooling all the gullible adults around him. However, after having his true identity revealed each time and proving himself to be someone with a habit of using disguises, he’ll have to up his game if he wants to continue taking advantage of Mr. Poe’s stupidity. #6. Olaf Won’t Be the Only One Employing Disguises This Season. The Baudelaire orphans may have a few tricks up their sleeves as well. #7. The Baudelaires Will Have Two New Sets of Guardians. 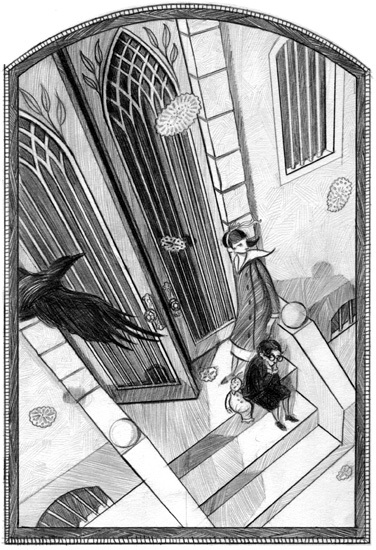 After their stay at Prufrock Preparatory School, Mr. Poe will send the children to two more sets of guardians. 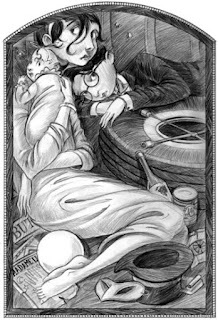 The first will be a wealthy couple – Esmé Squalor, a fashionable financial advisor, and her husband Jerome, a kind but meek man who hates to argue and prefers to follow the guidance of his wife. The second “guardian” will not be a single person or a couple, but rather an entire town! It does take a village to raise a child, after all. #8. Season Two Will Break the Model Established in Season One. 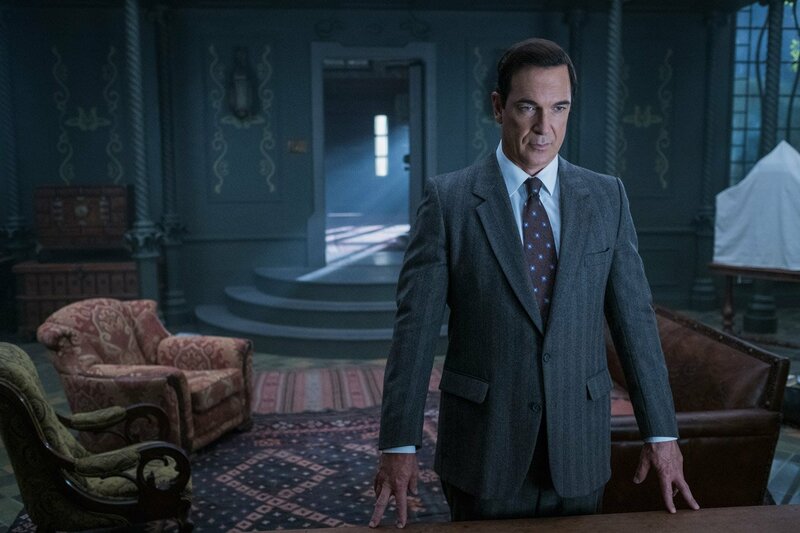 The biggest criticism levied toward both the books and the first season of ASOUE is that it follows a particular model that, once you see it, quickly gets stale. 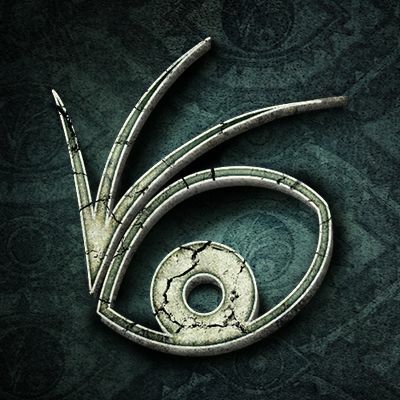 The children are sent to a new guardian, conditions aren’t ideal but they can manage, but then Count Olaf comes in disguise, no one believes the Baudelaires when they try to reveal his identity, their guardian dies or is otherwise taken out of the picture, Olaf’s plan to get the children’s fortune almost succeeds but is foiled at the last minute by the children's cleverness, and the Baudelaires go once more with Mr. Poe to find yet another guardian. Wash, rinse, repeat. The Netflix adaptation managed to shake it up a little by introducing the secret organization mystery early (it was originally introduced in book 5) and by having the children travel to Lucky Smells Lumbermill on their own and taking Sir’s job offer. (Originally Mr. Poe sent the children there, and Sir was their guardian.) Season two, however, will see the series finally scrap the model altogether. As stated previously, the Baudelaires will have two more guardians. But after that, some rather interesting circumstances will cause the issue of guardianship to be taken off the table entirely. Something else will drive the Baudelaires from one place to the next, and it is one of the most unfortunate things to happen to them to date. 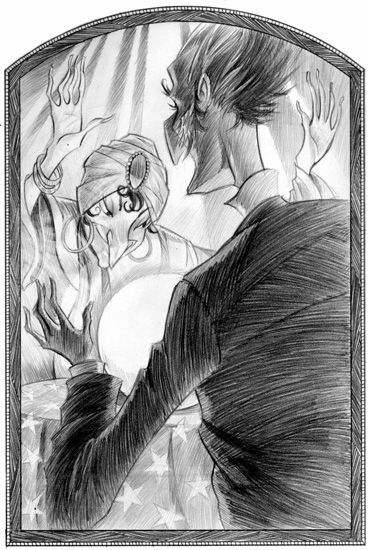 What’s more, it may be more than just the Baudelaire fortune that drives Count Olaf. #9. A Season One Easter Egg Plays an Important Role. Particularly keen viewers may have noticed a certain flying object outside the window behind Lemony Snicket in a season one scene. What they might not have known is that this strange flying house will serve an important plot point in at least one episode of season two. #10. Count Olaf Gets a Girlfriend. Olaf may have vowed never to take a partner again after his disastrous team-up with Georgina Orwell in "The Miserable Mill." But the villain is apparently not very good at keeping promises even to himself, for season two will see him enter a much closer and longer-lasting relationship with a woman who is… surprisingly smitten with him. #11. The Daily Punctilio Gets Even Worse. While the inaccurate newspaper was an annoyance to the Baudelaires in the first season, it may become a much darker force in the children’s lives next season. This time, the problems it brings could be life-threatening. #12. The Baudelaires Journey Will Take Them to a Hostile Hospital. Filled with sickness, disease, needles, and surgery, hospitals are scary enough on their own. But what would it be like if the staff of a hospital wanted to kill you? The Baudelaires will find out. #13. Season Two’s Final Adventure Will Take the Kids to a Carnival. And this one isn’t filled with fun rides and cotton candy. 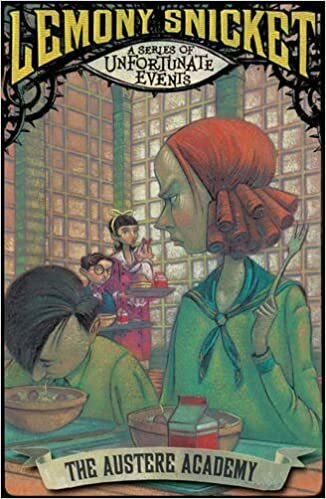 Instead, it has man-eating lions, bloodthirsty, ableist mobs, and a fortune-teller who seems to know a great deal more about the Baudelaires than she should. #14. At Least Two Characters You’ve Already Met Will Die – but Which Ones? Death is a common occurrence in this series. However, so far the deaths that have occurred have been of characters who were on no more than one or two episodes. This will change next season. Hopefully the ones who bite the dust won’t be any of your favorites! #15. We’ll Discover More about the Baudelaire Parents and the Secret Organization. The header speaks for itself. If I say any more, we’ll be drifting into some pretty deep spoiler territories. #16. We’ll Learn More about Lemony Snicket. 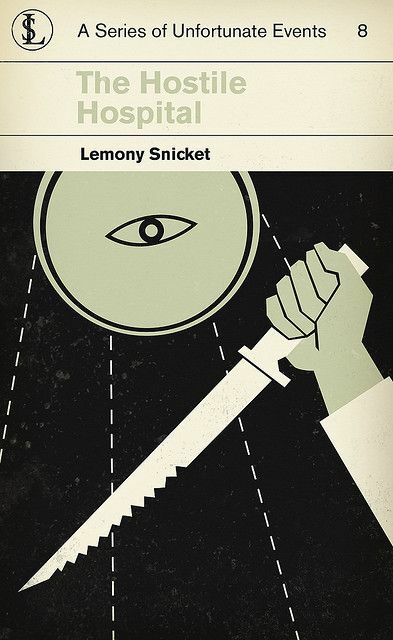 Lemony Snicket is a man of mystery. Why does he carry with him such an air of tragedy when it’s the Baudelaires, not him, experiencing a series of unfortunate events? Why is he always on the run? Who is Beatrice, why couldn’t she marry him, and how/why did she die? How does Lemony know Count Olaf, and what history do they have together? Why does Olaf hate the very sound of Lemony’s name? Why do people think Lemony Snicket is dead? And most of all, why has he dedicated his life to documenting the sad history of three orphan children? Why does he care so much about the Baudelaires’ plight, and why does their pain bring him pain? Is it just a case of empathy toward three figures he finds interesting to study? Or is it something more? The answers to these questions will probably not be given outright next season (that‘s something to look forward to in season three, if it's ever answered outright at all). But enough clues should be given that viewers as clever as the Baudelaires may be able to solve the mystery themselves.